One of the most energy efficient solutions for home insulation and commercial insulation is Spray Foam Insulation. Spray Foam acts as both insulation and air barrier, which means it permanently insulates and air seals your structure for as long as the building is standing. 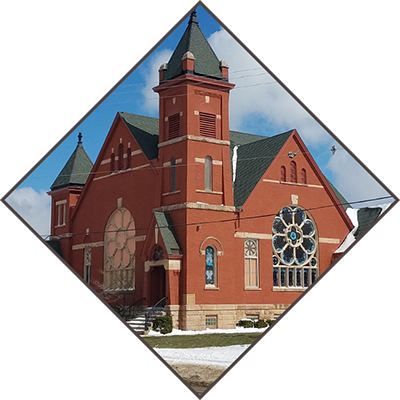 AIS proudly offers expert insulation services in Erie and the surrounding tri-state area. 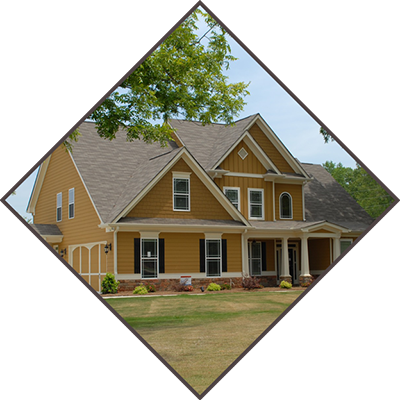 We are the preferred insulation company for professional contractors and thousands of homeowners in the region. We are insulation contractors with a passion for helping clients create comfortable and energy efficient environments. Building performance is a science, and at AIS we know that your insulation is just one part of the equation. Whether you need insulation for an existing commercial or residential structure, or are building new, we view the structure as a whole. 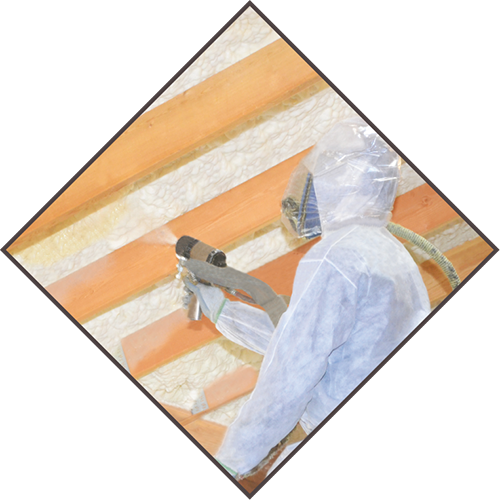 We consult other trades to make sure no detail gets overlooked in the insulating process. Because of our holistic approach, we are able to create more energy efficient, comfortable spaces, and in the process lower energy bills. Whether you need commercial or residential insulation installed, we are an insulation company that takes the time to answer all your heating and cooling questions to best help you choose which insulation type works for your project. We first evaluate where your heat (and money) are being lost by conducting an official energy audit for your home or office. Based on the results of your evaluation, we then give professional advice on how to improve energy efficiency. Whether retrofitting insulation for existing architecture or insulating a new home, AIS’s skilled staff has the experience to meet your needs. Our business is family owned and operated, and we are trusted throughout the community to provide superior service and quality assurance. We’re experienced in handling old and new architecture for residential or commercial insulation installations. We have cut energy bills by up to 50%. We have over 13 years of experience evaluating and installing insulation. Our installation process is fast and thorough, and we don’t miss the details. Whether you are a contractor or a homeowner concerned about energy efficiency and comfort, our insulation company provides precise home energy audits. 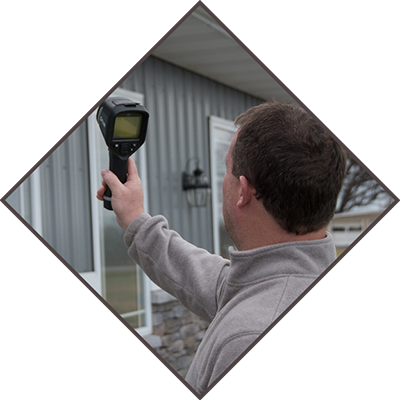 Using infrared scans and thermal equipment to determine any air leaks, we examine current insulation and then rate how much energy your home or office is consuming. Under the HERS Index Rating system, our insulation contractors help clients save big on energy costs. “I have been working with Advanced Insulation Solutions for the last 10+ years because their estimates, schedules, prep, and workmanship are second to none. With their very competitive estimates, I can typically expect to receive one within 24 hours of making a request, along with a comprehensive schedule of operations. Their staff are always quite informative and knowledgeable, recommending the best possible product for the job at hand. Feel free to call me, 814.602.9398, with any questions you may have, as they come highly recommended. “Maleno Builders has been using Advanced Insulation Solutions since 2014 to make our homes energy efficient and save our customers money. 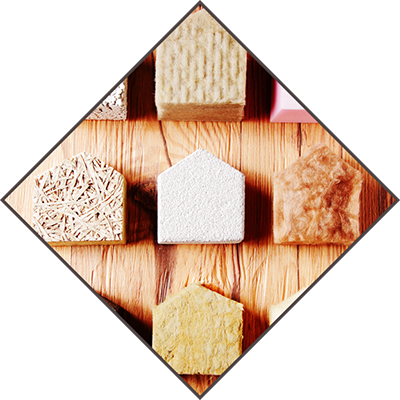 AIS provides superior insulation whether it’s new construction or remodels of existing homes. We can always count on the reliability and professionalism of AIS to meet our busy construction schedule. “We are a small business that requires large walk-in freezers for our products. So when we built a new shop, we reached out to AIS for their expertise in insulating custom built freezers, as well as spray insulation, for our facility for maximum heating and cooling efficiency. Because of the high density foam, our electric consumption is much lower than if we had utilized pre-built units. As AIS is my “go to” I would not trust another company when it comes to our specialized freezers and coolers. His crew is punctual, hard working, and detail oriented. Could not ask for a better company to work with.